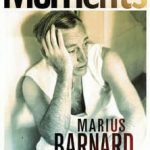 Doctor Marius Barnard founder Critical illness insurance, first human to human heart transplant medical team, explains in this two part interview details about his new autobiography. Critical Illness Insurance Resource Center: [Chuckles] August 6th, thank you, we had the first critical illness insurance policy launched then. Tell us about the one day then that Doctor Barnard, that you decided to start a critical illness, from that go into the carrier, with this idea… take us in the room with you, with the carrier if you will. How was the meeting was it well received? Was it very trying, did they accept of it right away? What was that like? Dr Barnard: You know sir, You could just imagine to me I knew nothing about insurance at that stage, I was a doctor dedicated to practice I was walking into a total new world. I went to the initial launch, the biggest insurance company, called Standard Insurance which belonged to one of the banks (Standard Bank) and I went there not knowing what to expect. It was about twelve (12) people and I started talking about the product, and as I talked I became enthusiastic, then because I talked they became enthusiastic, more and more people asked me to speak. Other companies started and it grew and grew and grew. Critical Illness Insurance Resource Center: Ok, Dr Barnard, you had just (earlier) mentioned that you came out with a book and you finally announced that, we’ve been looking forward to that. 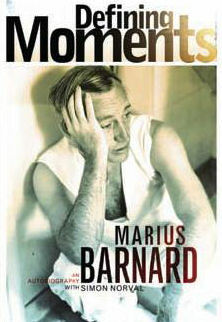 It’s a new biography I believe the author is Simon Norval called “Defining Moments“. Dr Barnard: Well he’s just the co writer, he is not the author, he just helped me to make the grammar ready and structure the book. I discovered the book like that has two parts. The first part is to write the story, the second part is to write the book. I wrote the story which is my life he structured it into chapters and sections and things like that. Critical Illness Insurance Resource Center: Tell us from you, the words of the author. Tell us a little bit about the book and then of course when we can expect the release here. Critical Illness Insurance Resource Center: Ok, wonderful and tell us a little about the book. Dr Barnard: Actually I would like all agents to hear that the book is here because I think it could help them a lot in understanding the product. Basically it is written, first of all, my parents were missionaries and they sacrificed everything to have their sons educated. So the book is written to honor them because I tried my best to honor them through all of the fame of the heart transplant, I have a feeling they weren’t honored enough. And so I did my best to honor them that’s the first reason. The second reason is that I try to write about my grandparents and great grandparents because I know nothing about them. I thought I would write a book so that my future generations, (I got a family in America, I’ve got a family in England), they can in 200 years say this stupid old man who lived in Africa what did he do, who he was, so they can read a book and know exactly what I did, that is the reason. The next thing is I was really keen on my heritage to say who I was and where I came from and how I grew up. Then the next part of the book goes into medicine which depicts my life as a student my life as a trainee then of course the heart transplant what happened to us there from being unknown to being world figures immediately. We’ve changed nothing, we were just the same people but the heart transplant and how the heart transplant was really not a big event, medically or scientifically. The heart transplant was a big event emotionally and a news worthy event. So I do a lot of explanation and for my future work as a South African that I live in apartheid as a South African (when not allowed to travel the world), I worked in Romania established there a cardiac surgery and then I went into private. And the next part is my life as a politician, I am Afrikaans, very much Afrikaans, and so you’d think I would be pro apartheid but I was exactly the opposite I was totally open/anti. And I went to parliament for a libery anti apartheid party for 9 years my experience in parliament. And then the last big section of the book is critical illness insurance, how I had no knowledge of insurance, how I slowly became aware of the financial need, how I struggled to establish this policy and what happened to it afterward. And then just a few things that, my relationship with my maker, I am a very religious person so I give my religious views. I have a part on my brother and myself, didn’t get on at all and this is quite written up in medicine and in Africa it is well known, and at the end, the trouble. And my 14 year fight with cancer, which is very personal very very to the point. And lastly, just, you know, the end of the book by saying unlike Frank Sinatra he did it his way, I did it G-ds way… and that is the end of the book. It’s just been on the market since the beginning of last month (June 2011/Sept in U.S.) it’s selling, everybody says it’s a great book. I am over awed, over awed, and so thankful to my maker that I have written the book and the pleasure I get is not from selling the book, the pleasure I get is out of people saying “I’ve really enjoyed your book, this is a great book”. Somebody who reviewed it said “This book should be read by every South African”, now isn’t that nice you know to hear things like that. Critical Illness Insurance Resource Center: That’s wonderful, amazing and worldwide, not just there. Dr Barnard: That’s right! Crippled with cancer, having a bad time, I just came out of 3 months after major surgery, nearly dying and to have that… I tell you as I said, god has been good to me. Critical Illness Insurance Resource Center: Wonderful, that is absolutely breathtaking. We thank you for actually even writing the book so that we can have as testimonial. Dr Barnard: Oh yes, I wanted to tell you just one more achievement that is to me one of the biggest things in my life. Critical Illness Insurance Resource Center: Please, yes. I am married to the same woman for nearly 60 years, and our life as husband and wife and our relationship with each other and our children has been a gift from god I tell you. I can not tell you how much it means that this lady that I know from the age of her 18th birthday that we are still together and she can share this with me. Critical Illness Insurance Resource Center: Wow, that is a feat and quite a feat. That is beautiful that you have that. Dr Barnard: In the book it describes how I met her (laughing). Critical Illness Insurance Resource Center: So even the detail personal stories, not only about the cancer but also about your personal relationships. Dr Barnard: Sure, and lots of funny stories. I am actually a better clown than a serious person [both laughing]. There’s a lot of very funny stories. Critical Illness Insurance Resource Center: What would you say to them, if they were to survive in the wake of life threatening cancer, stroke a heart attack (etc. ), god forbid something was to happen to them tomorrow, and they are listening to you now, what would you say to them as far as…the biggest delay of why they are not getting coverage is because they are “putting it off” and “they would like to think about it”? Dr Barnard: Absolutely, I would tell them, go and get your critical illness policy tomorrow! I have seen so many people come up to me and say “You know I have heard you talk”, and they say “I’ve seen you talk but unfortunately I did not listen and 3 moths later, a year later, I developed it and it was useless because I get (now) no money”. The only thing, and you mentioned it, you need critical illness desperately, you cannot afford… it’s not that you can’t afford it, you cannot afford not to have it.” Just tell them to go and find out about it. Tell them to find out what it could do for you financially. Giving you security. Once you understand what it can do for you, you buy it. People don’t sell it… you buy it. Critical Illness Insurance Resource Center: Right, and that again goes back to education but not only education as power but education is power if you are using it. We don’t want to just know about it we want to actually use it. Critical Illness Insurance Resource Center: Well thank you very much Dr Barnard, it was a pleasure speaking with you today. 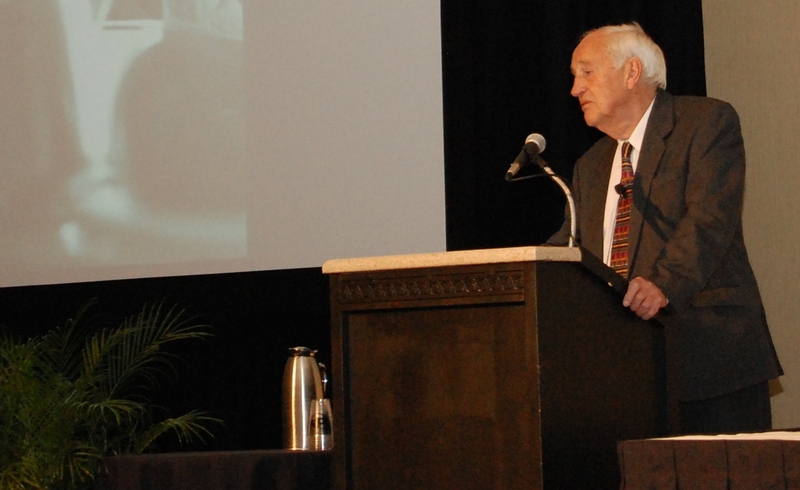 Critical Illness Insurance Resource Center: Dr Barnard, a brilliant surgeon and an advocate, visionary and industry pioneer, an inspirational speaker as you’ve heard all through today. A political figure, a loving husband and a father as well. A leader who stated as a medical doctor “you can repair a man physically, but only insurers can repair a patients finances” and that is where we come in (as Agents). Well thank you very much for everything you have done today and we look forward to speaking with you again in the future and good luck again with the book. Dr Barnard: And the best of luck. Audio version of this interview parts 1 and 2 available online August 2011. Any portions transcribed from audio may have typing/translation error please refer to audio copy for accuracy. All rights reserved. No portions shall be taken and reduplicated without express written permission from Guarantee Acceptance / Critical Illness Resource Center / Criticalillnesspolicies.com. Permission granted if providing a direct link to this page as the source. All rights reserved.